An egg tray manufacturing unit in Choekhorling Village of Dekiling Gewog, Sarpang has come as a boon to the local housewives and out of school youths. The unit, established earlier this year, currently has seven youths and housewives working with it. Radika is one of them. “The factory is located near my house, so I can stay with my parents, which saves me money. Also, I can help my parents at home in the evening,” she said. “I have been staying home with nothing to do until the factory came up,” Samten Pelmo, a housewife, said. 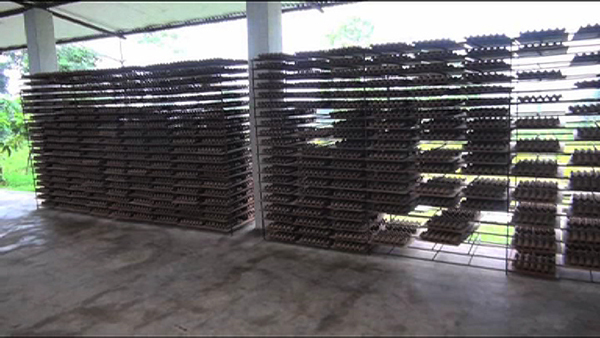 The Thinley Kuenphel Egg Tray Manufacturing Unit has a capacity to produce 5,700 trays every day. But at the moment, the unit produces only 3,600 trays. Currently, it supplies to buyers in Sarpang only, but the Proprietor, Thinley Phuntsho, plans to gradually supply across the country. He set up the business with a loan of Nu 7.6 M from the Bhutan Development Bank Limited.